On Thursday, the trailer for “Men In Black International” was finally revealed. 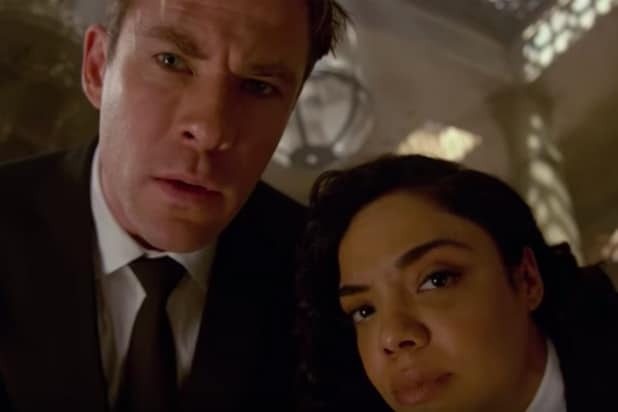 The spinoff of the original MIB trilogy now stars Chris Hemsworth and Tessa Thompson as alphabetized agents, and the new alien fighters seem to fit the roles originated by Will Smith and Tommy Lee Jones. This time around, the alien activity takes the agents on a global journey, with the duo trekking through London, Morocco, and Italy as they seek out a mole in their organization. Thompson stars as a young woman who has been searching for the secret Men In Black organization for 20 years, and is partnered with Agent H, played by Hemsworth. The film is directed by F. Gary Gray and also stars Liam Neeson as the head of the U.K. branch of MIB, Kumail Nanjiani, Rebecca Ferguson and Emma Thompson, reprising her role from the third film as Agent O. “Men in Black International” will debut in theaters on June 14, 2019.